Please browse through our pictures and contact us for customization of colors and flowers. Certain flowers are subject to seasonal availability. ​Call us at 310-836-2586 for additional information. 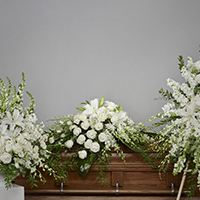 The loss of a loved one is a difficult time in everyone’s life. Honoring them in a thoughtful, caring way in which they would be proud is often a larger task than anticipated. 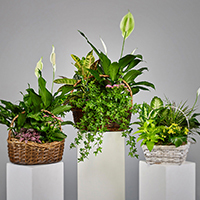 The thoughtful and talented professionals at Ramsgate Floral Designs are here to help. 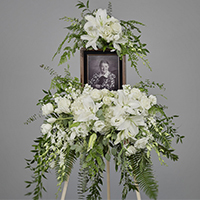 Whether you are planning a heartwarming memorial or a vibrant celebration of life, we will work with you to customize the perfect flowers to honor your loved one. 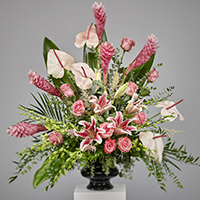 With over 100 designs to choose from and countless customizations, we can create the perfect floral arrangements for you. 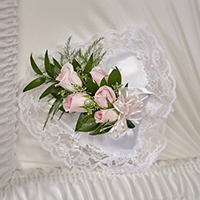 At Ramsgate Floral Designs, we understand the importance of honoring our loved ones that have passed. 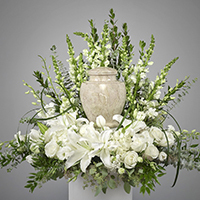 As this is a difficult time for everyone, our professional, kind and compassionate designers will work with you and your family to customize the perfect flower arrangements for the funeral, burial and other memorial services. Please browse through our pictures or contact us to customize the style, colors and flowers that capture the personal style of your loved one. 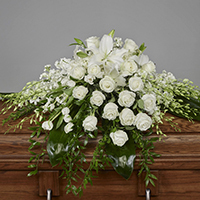 We can customize any arrangement from casket sprays, easel sprays, wreaths, hearts, crosses, rosaries, floral blankets and other flower arrangements.